Description is taken from rust-lang.org. Why does it matter for a Python developer? The better description of Rust I heard from Elias (a member of the Rust Brazil Telegram Group). Rust is a language that allows you to build high level abstractions, but without giving up low-level control – that is, control of how data is represented in memory, control of which threading model you want to use etc. Rust is a language that can usually detect, during compilation, the worst parallelism and memory management errors (such as accessing data on different threads without synchronization, or using data after they have been deallocated), but gives you a hatch escape in the case you really know what you’re doing. There is a bunch of Rust packages out there to help you extending Python with Rust. I can mention Milksnake created by Armin Ronacher (the creator of Flask) and also PyO3 The Rust bindings for Python interpreter. See a complete reference list at the bottom of this article. For this post, I am going to use Rust Cpython, it’s the only one I have tested, it is compatible with stable version of Rust and found it straightforward to use. NOTE: PyO3 is a fork of rust-cpython, comes with many improvements, but works only with the nightly version of Rust, so I prefered to use the stable for this post, anyway the examples here must work also with PyO3. Pros: It is easy to write Rust functions and import from Python and as you will see by the benchmarks it worth in terms of performance. Cons: The distribution of your project/lib/framework will demand the Rust module to be compiled on the target system because of variation of environment and architecture, there will be a compiling stage which you don’t have when installing Pure Python libraries, you can make it easier using rust-setuptools or using the MilkSnake to embed binary data in Python Wheels. Yes, Python is known for being “slow” in some cases and the good news is that this doesn’t really matter depending on your project goals and priorities. For most projects, this detail will not be very important. However, you may face the rare case where a single function or module is taking too much time and is detected as the bottleneck of your project performance, often happens with string parsing and image processing. Let’s say you have a Python function which does a string processing, take the following easy example of counting pairs of repeated chars, but have in mind that this example can be reproduced with other string processing functions or any other generally slow process in Python. # How many subsequent-repeated group of chars are in the given string? Python is slow for doing large string processing, so you can use pytest-benchmark to compare a Pure Python (with Iterator Zipping) function versus a Regexp implementation. platform linux -- Python 3.6.0, pytest-3.2.3, py-1.4.34, pluggy-0.4. crate is how we call Rust Packages. It creates a new Rust project in that same folder called pyext-myrustlib containing the Cargo.toml (cargo is the Rust package manager) and also a src/lib.rs (where we write our library implementation). It will use the rust-cpython crate as dependency and tell cargo to generate a dylib to be imported from Python. Import all macros from cpython crate. 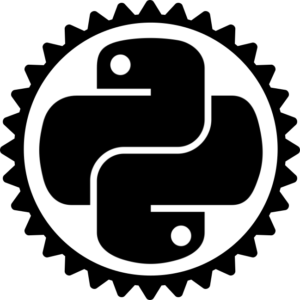 Take Python and PyResult types from CPython into our lib scope. It takes a Python as first argument, which is a reference to the Python Interpreter and allows Rust to use the Python GIL. Receives a &str typed val as reference. Returns a PyResult which is a type that allows the rise of Python exceptions. Returns an PyResult object in Ok(total) (Result is an enum type that represents either success (Ok) or failure (Err)) and as our function is expected to return a PyResult the compiler will take care of wrapping our Ok on that type. (note that our PyResult expects a u64 as return value). Using py_module_initializer! macro we register new attributes to the lib, including the __doc__ and also we add the count_doubles attribute referencing our Rust implementation of the function. Attention to the names libmyrustlib, initlibmyrustlib, and PyInit. We also use the try! macro, which is the equivalent to Python’stry.. except. Return Ok(()) – The () is an empty result tuple, the equivalent of None in Python. Now let’s copy the generated .so lib to the same folder where our doubles.py is located. NOTE: on Fedora you must get a .so in other system you may get a .dylib and you can rename it changing extension to .so. Having the myrustlib.so in the same folder or added to your Python path allows it to be directly imported, transparently as it was a Python module. Edit your doubles.py now importing our Rust implemented version and adding a benchmark for it. """Count repeated pair of chars ins a string"""
Rust implementation can be 10x faster than Python Regex and 21x faster than Pure Python Version. NOTE: That numbers makes sense only for this particular scenario, for other cases that comparison may be different. The contributions came as Pull Requests and you can send a new if you think the functions can be improved. Thanks to: Josh Stone we got a better implementation for Rust which iterates the string only once and also the Python equivalent. Thanks to: Purple Pixie we got a Python implementation using itertools, however this version is not performing any better and still needs improvements. 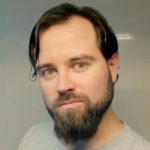 Ok, that is not the purpose of this post, this post was never about comparing Rust X other language, this post was specifically about how to use Rust to extend and speed up Python and by doing that it means you have a good reason to choose Rust instead of other language or by its ecosystem or by its safety and tooling or just to follow the hype, or simply because you like Rust doesn’t matter the reason, this post is here to show how to use it with Python. I (personally) may say that Rust is more future proof as it is new and there are lots of improvements to come, also because of its ecosystem, tooling, and community and also because I feel comfortable with Rust syntax, I really like it! So, as expected people started complaining about the use of other languages and it becomes a sort of benchmark, and I think it is cool! So as part of my request for improvements some people on Hacker News also sent ideas, martinxyz sent an implementation using C and SWIG that performed very well. And our fellow Red Hatter Josh Stone improved the Rust implementation again by replacing chars with bytes so it is a fair competition with C as C is comparing bytes instead of Unicode chars. The complete test case is on repository test_all.py file. NOTE: Have in mind that the comparison was done in the same environment and may have some differences if run in a different environment using another compiler and/or different tags. – Pure Python function taking 102 ms.
– Improved with Numpy (which is implemented in C) to take 3 ms.
– Ended with Rust taking 1 ms. In this example Rust performed 100x faster than our Pure Python. Rust will not magically save you, you must know the language to be able to implement the clever solution and once implemented in the right it worth as much as C in terms of performance and also comes with amazing tooling, ecosystem, community and safety bonuses. Rust may not be yet the general purpose language of choice by its level of complexity and may not be the better choice yet to write common simple applications such as web sites and test automation scripts. However, for specific parts of the project where Python is known to be the bottleneck and your natural choice would be implementing a C/C++ extension, writing this extension in Rust seems easy and better to maintain. There are still many improvements to come in Rust and lots of others crates to offer Python <--> Rust integration. Even if you are not including the language in your tool belt right now, it is really worth to keep an eye open to the future! The code snippets for the examples showed here are available in GitHub repo: https://github.com/rochacbruno/rust-python-example. The examples in this publication are inspired by Extending Python with Rust talk by Samuel Cormier-Iijima in Pycon Canada. video here: https://www.youtube.com/watch?v=-ylbuEzkG4M. Also by My Python is a little Rust-y by Dan Callahan in Pycon Montreal. video here: https://www.youtube.com/watch?v=3CwJ0MH-4MA. Join Rust community, you can find group links in https://www.rust-lang.org/en-US/community.html. If you speak Portuguese, I recommend you to join https://t.me/rustlangbr and there is the http://bit.ly/canalrustbr on Youtube.